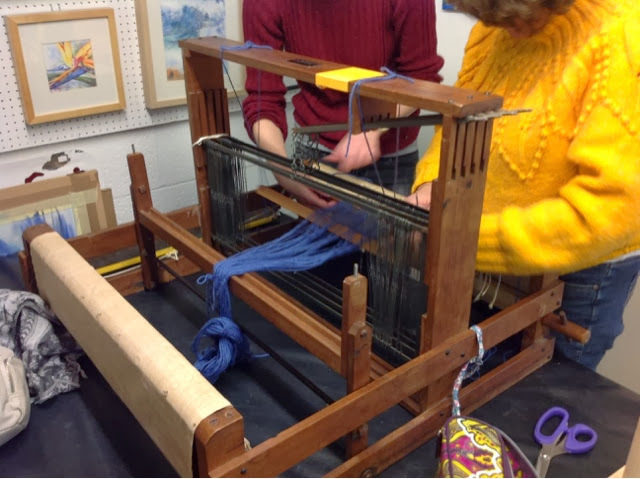 I was back at Wickerwool at Cedar Farm today, our loom collection has now grown to four with the addition of a table loom courtesy of Jackie from The Cedar Beaders who is unable to weave any longer due to arthritis. It's so sad when that happens, but we will certainly use her loom to the full!! Heather is so talented with her weaving, she explains things clearly and I'm sure we'll be creating amazing scarves soon! This is my plan anyway, possibly in the style of this time next year we'll be millionaires. In the meantime, I'm going to spin some singles to use on Jackie's loom. It has plastic Heddles so it will be great for handspun. 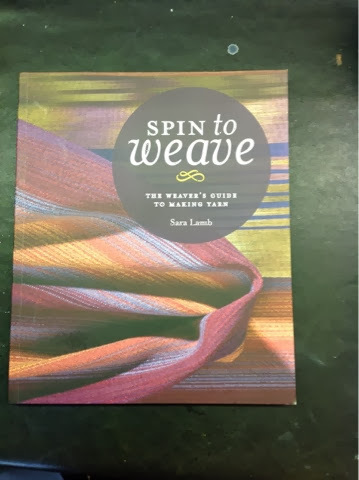 This book by Sara Lamb is amazing and I will be ordering it ASAP, it has all the info needed to get going if you plan to weave your handspun yarn. The colours in her scarves are amazing and certainly gave me ideas and inspiration for our dyeing day next Tuesday. We'll be starting at 10am and trying different methods of dyeing and talking colour theory too. We're at Cedar Farm, if you fancy coming along, please get in touch so we can prepare. 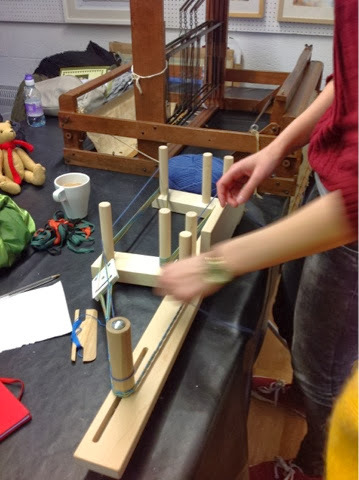 We'll also have the looms and spinning wheels there too.